How did your last speech go? Did your audience hang on your every word? Did they seem eager to hear what you were going to tell them next? Did they seem to be a bit disappointed when your speech was over – they really wanted you to keep on talking? If you are like most of us, the answer to most of these questions, despite the importance of public speaking, is “no”. What this means is that as public speakers we are dropping the ball. We really need to find a way to add some more zip to our next speech. Perhaps this is where poetry can step in and lend us a helping hand. All too often when we are creating the opening for a speech, we think about what we want to say to our audience and then we just say it. That’s ok as far as communication goes, but the bigger question is will it stick – are they going to remember what we’ve told them? In most cases, the answer is no. What this means is that perhaps the opening of our next speech would be the place to slide in a bit of Shakespeare or some other poet in order to find the words that will fire up the imagination of our audience. We are all facing the same problem these days. The words that are easy to use, the ones that we find ourselves going to over and over again have become tired and worn out. There are a whole host of words that I can run by you that should cause you to start to groan: paradigm shift, low-hanging fruit, out of pocket, etc. All of these tired phrases are used by us in order to try to sound smart to our audience; however, more often than not they just end up trying to figure out what we are really trying to tell them. Likewise, we’ve all had to sit through countless PowerPoint presentations in which the presenter tried to impress us by turning nouns into verbs by adding “-ize” to the end (“incentivize” anyone?) Look, some jargon can help professionals communicate better. However, it all falls apart when we become either too technical or too wordy. You need to try to keep it nice and simple. So this all puts you into a difficult position. You want to capture and hold onto your audience’s attention. However, most of the tools that you would generally use to do this appear to be overused and worn out. What’s a speaker to do? If we take a moment to listen to what the famous living poet Maya Angelou said: “Poetry is music written for the human voice” then we’ll know what we should do – work more poetry into our next speech. The good news about poetry is that it is supposed to be spoken and heard. Work some poetry into your next speech and you will have worked some music into the speech. Before you are going to be able to work any poetry into your next speech, you are first going to have to find a way to get yourself inspired. One way to make this happen is to take the time to read poetry. When you read poetry you can read it in your mind, or even better read it out loud. Doing this can help to allow you to understand how you can say something in a way that will cause it to “stick” with your audience. If you don’t feel comfortable reading poetry, then take the time to read song lyrics. It turns out that these are poetry also! In order to make sure that your audience remembers what you say, you need to find a way to engage all of their senses when they are listening to you. When people are creating poetry, they attempt to do more than just paint a picture with words. They try to make what they are talking about real using the five senses: taste, touch, smell, and sound as well as sight. As a speaker, one of the things that you need to realize is that the sense of smell is closely associated with our memory. This means that if you can find a way to work a description of either a scent or a taste into your speech, there is a better chance that people will remember what you told them. 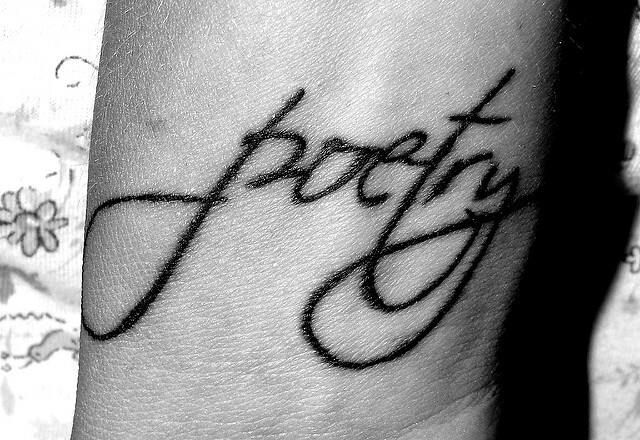 One of the things that we need to be able to realize is that there is a flow to poetry. What this translates into is the understanding of the sound, pace and rhythm of the words that we use when we are reciting poetry. If you take the time to read some poetry out loud, you’ll discover that you are able to hear the cadence of the words. Poetry gives us words that seem to fit together and which flow naturally from each other. Your audience will be able to hear the fluidity in your speech when you use poetry. The goal of any speech that we give is to be able to connect with our audience and make a change in their lives somehow by sharing with them the benefits of public speaking. The challenge that we run into is that it can be difficult to find a way to create a speech that allows us to present our thoughts and ideas in a way that will capture the imagination of our audience. All we have to work with are words and sometimes it can be difficult to see how we can use them to accomplish what we are trying to do. This is when poetry can come to our rescue. A big challenge that we are all facing when we start to put a speech together is that a lot of the words and phrases that we automatically tend to use have been overused. They are now tired and will not capture our audience’s attention. If we can understand that poetry is a form of musical speech, then all of sudden we have a new tool with which to get the attention that we are looking for. In order to work poetry into your speech, you are going to have to first take the time to read poetry. Reading poetry out loud will allow you to start to understand how all of the words fit together. Taking the time to make sure that the poetry that you use will engage all of the senses is a great way to capture your audience’s interests. Finally, you need to be able to recognize the flow of the words in poetry. The cadence of the poem will make your speech more memorable for your audience. Poetry is a powerful tool that not enough speakers are willing to incorporate into their speeches. We need to take the time to expose ourselves to more poetry so that we can start to understand how poetry fits words together and what the meaning of those words is. Once we become comfortable working poetry into our speeches, we can start to use the power of those words to attract and hold on to our audience’s attention. So when you sit down to put a speech together, what language do you use? I’m not talking about English vs Spanish vs French here. Rather, I’m talking about the use of slang. You know what I’m talking about, slang is a type of language that consists of words and phrases that are regarded as very informal. Do you feel comfortable including this type of language in a speech? Do you think that it could contribute to the importance of public speaking? Should you be including more of it?